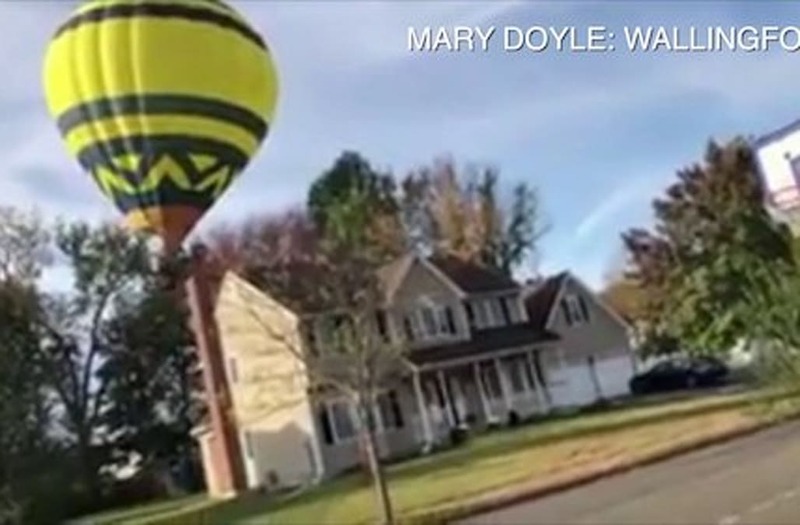 WALLINGFORD (WTIC) -- A scary situation occurred outside of a Wallingford school Sunday morning when a hot air balloon landed at Parker Farms Elementary School. Police received calls that an air balloon was possibly on fire near route 68 and Dana Boulevard. When officers arrived on scene, they said the balloon was not on fire but flying unusually low. Police say the balloon's basket had gotten caught in a tree, and the flame melted into the balloon after the operator tried to use the torch to go higher in altitude. The balloon had taken off from Aqua Turf Club with five people in the basket. The balloon had taken off from the Aqua Turf in Southington and had five people in its basket. Police said no one was injured.